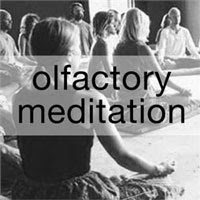 On Saturday, January 8th, 2011 at 4:00 pm an olfactory meditation on the World Olfactory Social Sculpture World Sensorium will be led by artist Gayil Nalls. Sounds cool. Details here. The venue itself—the Main Hall of Staten Island’s historic Snug Harbor Cultural Center and Botanical Garden—is also a draw. Plus it’s free! I'll have to try something similar over here in Australia!